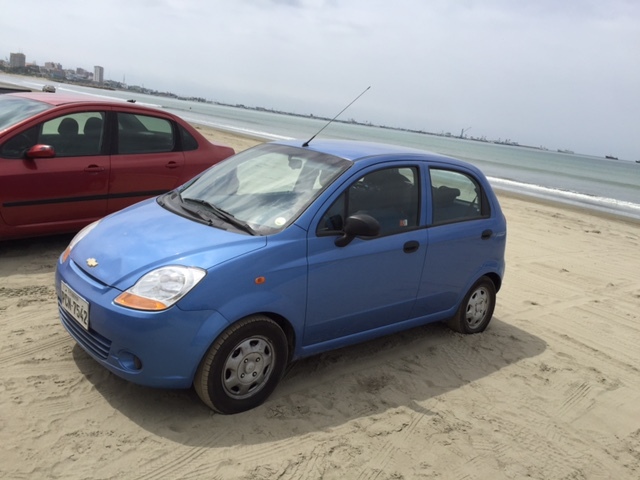 Are you one of the intrepid souls who wish to rent a car here in Ecuador? If so, then here’s some up-to-date information about car rentals, provided by a client of ours who returned his car yesterday. Note: this information is from October of 2016 so if you are reading this 2 years (or even 2 months!) from now, some of the facts may well have changed. 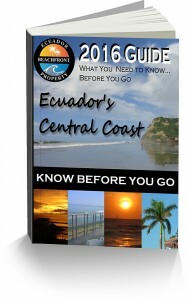 Also, for more details on what you need to know while planning your visit to the coast, sign up to get our in-depth “Know Before You Go” trip planning guide. So let’s get started. 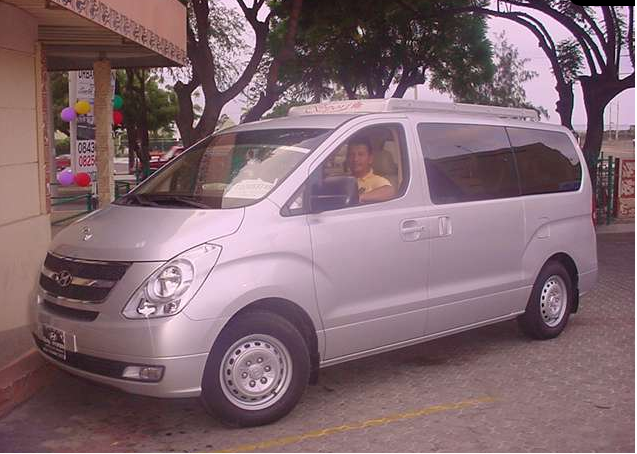 Many people who are planning their visit to Coastal Ecuador like the idea of renting a car during their visit so they can explore the country at their leisure. Makes sense, right? Driving a vehicle in Ecuador is, no kidding, an adventure in and of itself, and is not for the faint of heart, especially if you have only have driving experience in places where there is good signage and most people abide by traffic laws. Tom often warns newbies of the “virtual 3rd lane” that is common on double lane roads. Here, you can expect to get lost at least once (even with GPS), be cut off and honked at regularly in the cities, get passed by Kamikaze drivers on blind, hairpin curves, dodge dogs wandering (or even sleeping) out in the roads, motorcycles with no headlights, and the list goes on. We’ve definitely heard our share of stories from clients who say they’ll be hiring a driver next time! Also, note that if you don’t know how to drive a stick shift, unfortunately you’re out of luck. Virtually all cars here have manual transmissions. If You’re Still Game, Then Where to Begin? First, be aware that you are allowed to drive in Ecuador using your foreign driver’s license the first 30 days you are in the country. After that, technically you are required to apply for an Ecuadorian license (good fodder for a future blog). The Avis website says an International Driving Permit (IDP) is required in addition to a valid license from your country of residence. From our client’s experience, no one ever mentioned the IDP. And from our experience, having an International Driver’s Permit was never particularly helpful as the local police who stopped us at routine checkpoints on a couple of occasions were never impressed by the little paper booklet as it does not look “official” enough. Where to Rent Your Vehicle From? 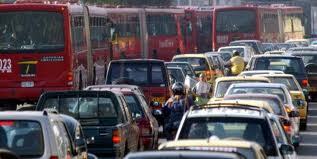 We generally do NOT recommend renting a vehicle from Quito. Although the drive out of the Andes Mountains is gorgeous, it also pretty harrowing for most newcomers and can vary between 6 to 12 hours (depending on if or how often/ badly you get lost!!). 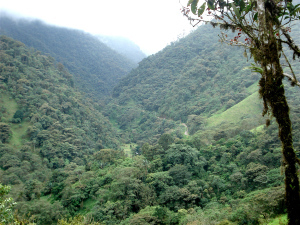 Andean rainforests and waterfalls are part of the beautiful scenery of driving out of the mountains down to the coast. Your other option is to fly into Guayaquil. You could rent a car from there but signage isn’t great and it’s common for people to get lost or become very stressed attempting to get out of the city. From Guayaquil you can take a bus to Manta (~$5, 4 hours), a shuttle (~$25, 3.5 hours), or hire a private driver (~$100, 3.5 hours). There are NO flights between Guayaquil and Manta. 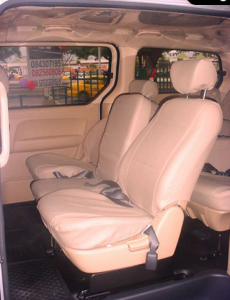 How to Find a Secure and Reliable Car Rental? How to go about finding and reserving a rental? The EASIEST and MOST SECURE way is to just type in Manta, Ecuador or Manta’s airport code (MEC) into an online site like Kayak.com or Orbitz.com. Currently, the only option that comes up for any online site that I have tried thus far is Avis. Budget used to come up for Manta but their office has closed. Daily rates though an established, international car rental agency may be higher than a local company but there are countless tales of poorly operating vehicles, getting charged up the nose for *previously* incurred damages, poor customer service, and unexplained charges that show up a month or so after the fact. You’ll have a far better chance for a positive experience and have more power to rebuke any unwarranted charges with an established and reputable company. Avis’ cars are now available AT the Manta airport. In the past, you had to hire a taxi to take you into Manta proper to pick up your rental. So this is a very nice improvement. Note: The Avis rental office is apparently ONLY open around flight schedules (online the hours are listed as 6:30am to 8:30pm but they close in between flight times). 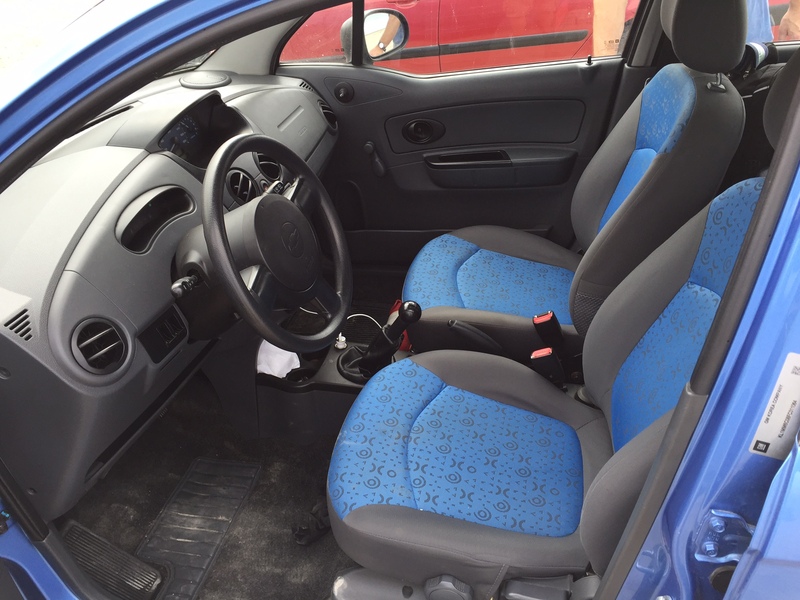 The economy car is very small but functional for most people unless they are very large or have an excess of luggage. My husband is about 6’2″ and he fit ok.
Low clearance on the economy vehicles obviously means to WATCH OUT and TAKE IT EASY over those speed bumps and potholes! The economy car comes to about $18 per day with taxes and fees. There is also generally a mileage allowance of 100 km (60 miles) for each day you rent. If you go over, you will be charged another $0.20 per km (which adds up!). In some cases, you might be able to find a deal with unlimited mileage but it is not common. A $5,000 authorization is held on your credit card to cover costs of any damages, driving violations, etc. This authorization is kept on the card for 1 month following the end of your rental in case you are caught speeding by speed-detecting cameras. 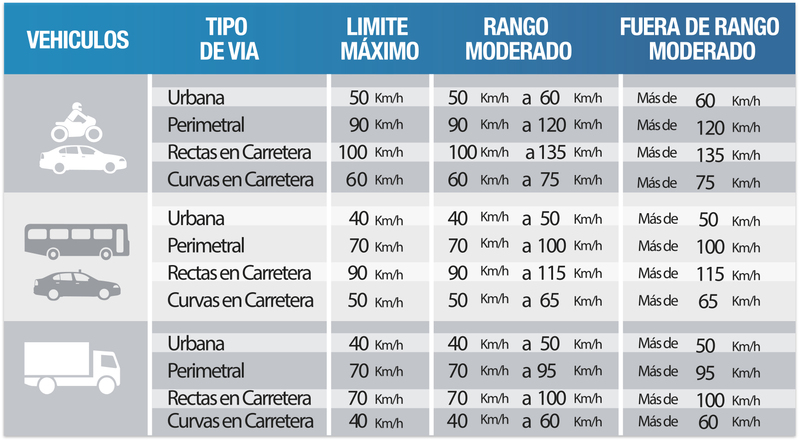 Speed limits in Ecuador. “Urbana” = urban areas, “Perimetral”=major roads on outer parts of cities, “Rectas en Carretera” Highway, straight sections, “Curvas en Carretera” = Highway, around curves. If you opt into paying for insurance (a wise idea) then you can purchase it for $11/day at the time of making your reservation; however, this is NOT REFUNDABLE if paid for in advance. Alternatively, you can purchase your insurance at the time of pick up for $35/day. A BIG difference so if you are confident about your dates it is worth doing. Be aware that although online you may be able to select add-ons such as car seats and GPS, these options are actually not available. For our client, such was the case for the GPS he was assured he would have (after speaking with an agent in the Quito office). Once in Manta, he was told they hadn’t had vehicles equipped with GPS for at least a year. Don’t forget to pick up your FREE copy of our “Know Before You Go” trip planning guide! Good luck out there! We’ll look forward to seeing you here on the beach soon! We always use a different city drop-off. 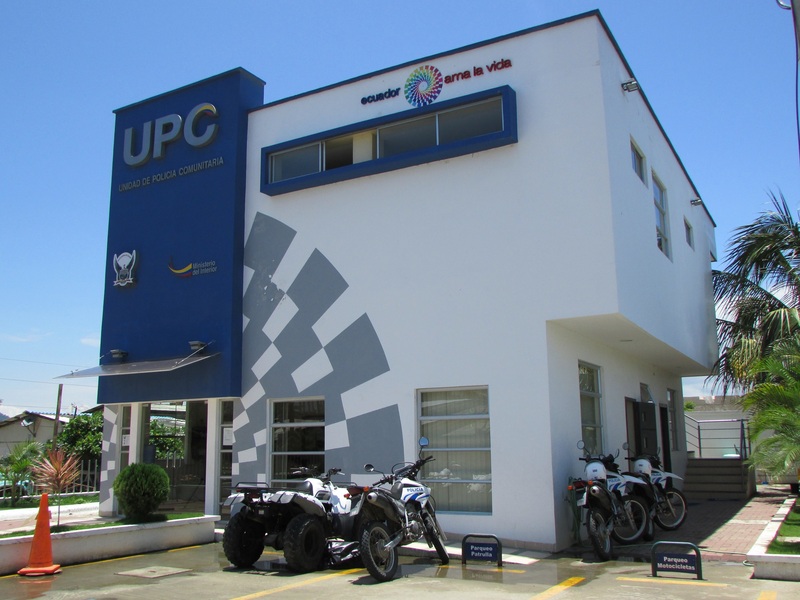 We either pick up in Manta and drop off in Guayaquil, or vice versa. It depends on the plans for travelling the coast. AVIS charges $60 for the alternate city drop-off. 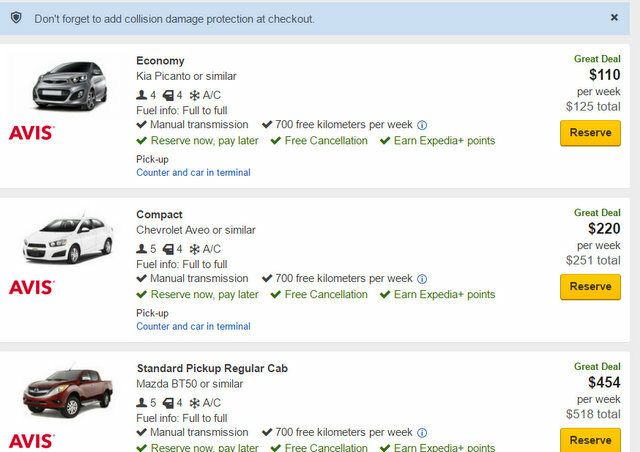 For collision damage waiver (DDW) insurance, I added it to my credit card. Any reservation I make, and pay for with that card, has CDW coverage. It is a lot less expensive. The only drawback, I am told, is that you will have to pay for damages up front, and be reimbursed by the credit card insurance. 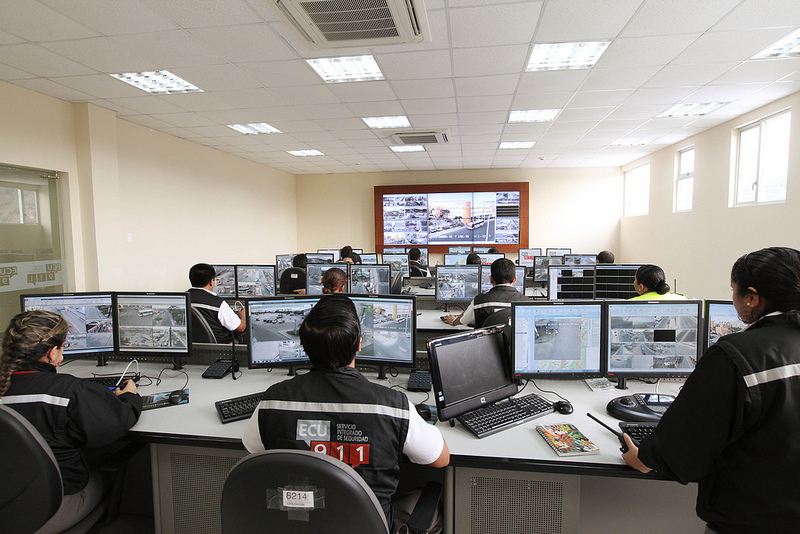 Photo radar is rampant in Ecuador! The government has a website that you can check to see if you got any tickets. 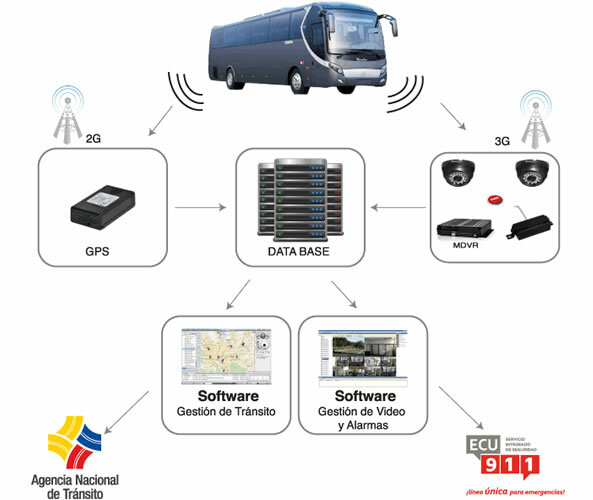 To do so, go to www.ant.gob.ec and then click on Consulta de Citaciones (menu on far left), then drop the top box down for Placa (“license plate”) and enter your plate number on the lower box. You also have the option to select Pasaporte (your passport number). Getting current and reliable information regarding real-life logistics of bringing your pet to Ecuador can be a bit daunting. So I thought I’d share details provided to me by some friends who recently (May 2012) moved to Ecuador from the US with their three dogs (1 extra large, 2 small). I’ll focus on dogs here but I assume that the same general rules would apply to cats as well. Please note: Ecuador’s rules and requirements can and DO change so be sure to triple check everything before leaving your home country with your pets! 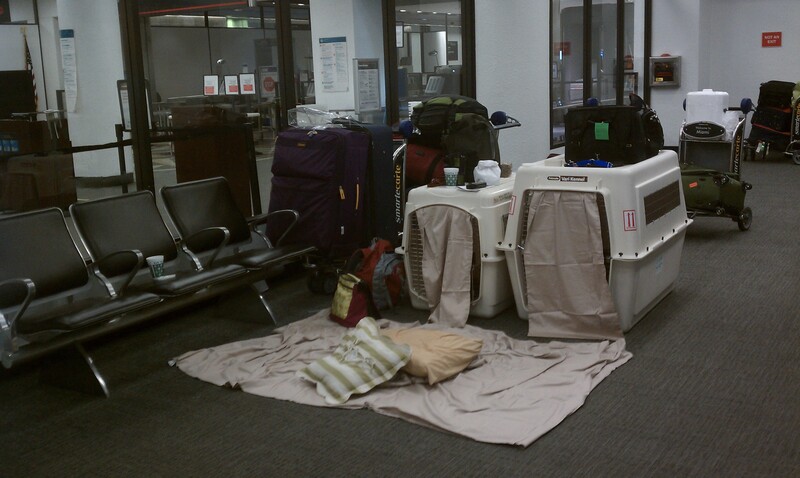 It basically boils down to this: there are 2 options for bringing in dogs (1) as cargo and (2) as baggage. I’ll go over those in a second but we’ll start off with the general requirements for bringing in pets to Ecuador. As the law currently stands, you are allowed to bring two dogs per person. There is apparently a new rule in place too that if you bring more than 2 dogs then a special permit is required. I was told that it in this case, it would be easier to pay a friend to fly down as your surrogate pet parent to avoid the permit process. Get your vet to fill out an international health certificate that verifies that your pet is up-to-date with its shots, etc. Send the health certificate to the USDA for their endorsement. Send the endorsed health certificate to the Ecuadorian consulate to be legalized. You are required to bring an international health certificate filled out by your vet not more than 10 days in advance of your arrival to Ecuador. Be sure to ask your vet before making your appointment whether they are accredited by the APHIS USDA to fill out the form; if they are not, then they need to refer you to a vet who is. Each pet must have its own certification completed which will be linked to its owner’s passport name. Double check with the Ecuadorian Consul office closest to you for any updates on requirements, shots, external and internal parasites. The international health certificate must then be sent to the APHIS USDA nearest you for certification. Generally speaking you must set up an appointment in advance. However, as in the recent case of my friends with the 3 dogs, their closest USDA was out-of-state so they sent their health certificates to their area office via overnight FedEx with the USDA’s prior notification and approval. This certification cost $37 per pet. This certified form then must then be legalized at the nearest Ecuadorian consulate and costs $50 per pet. If the nearest office is far away, you may again use a courier service and include a prepaid mailer to have it returned to you. Our friends actually included two prepaid mailers when they sent their certificates to the USDA (one to the Ecuadorian consulate, the other to their own address) so that the once the USDA certified the health certificate, they mailed it direct to the consulate and then the consulate sent it back to their home address. Again, make sure to notify the consulate in advance so they are expecting your paperwork. **Important: The stamped certification it’s only good for 10 days** so plan accordingly! You will also need to provide the airlines with a separate vet certification for each dog. You will present these when you check in for your flight. If you’re flying on multiple airlines, each will require these so make sure you have enough for your route. 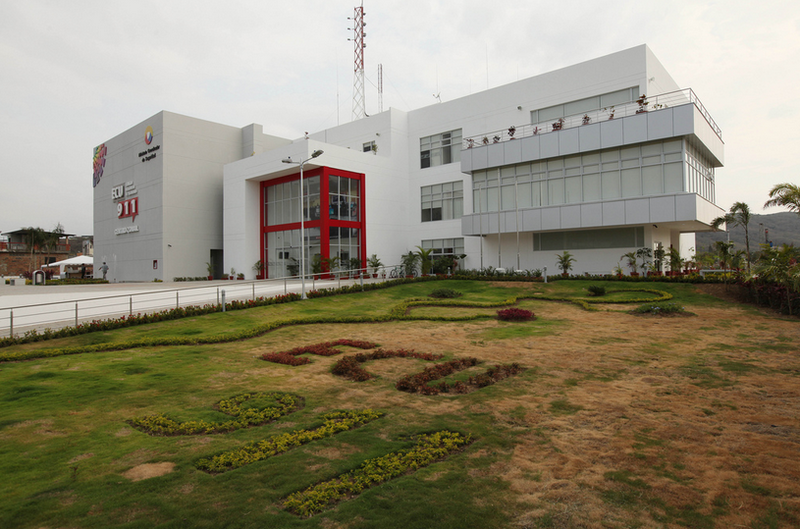 The certifications are also required for domestic flights within Ecuador. In the case of our friends, they needed three certificates for each dog (2 in the US since they flew on both Delta and Copa Airlines and then a third for their flight from Quito to Manta). There are two ways to bring dogs in to the country. One is via air cargo. Our friends spent a lot of time talking with professional pet relocation companies and they all recommended not going this route if possible. However, due to temperature restrictions (85 degrees F), dog weights, and heights for certain airlines, etc. it may be the only choice some people may have. If you go with the cargo option, get in touch with Sandra (Sandy) Baquero who is a highly recommended customs agent who will explain the process to you, check your cargo bookings, and help you to get in to see your beloved(s) while they are being cleared through customs and agricultural departments. Another friend of ours used Sandy’s services in April 2012 and was very pleased. She arrived to Quito at 9:17pm and her dogs were released to her before 5pm the following day. Note: We know other folks who had to wait several days before their dogs were released. The option most recommended for traveling with your pet is on your flight either as checked baggage or in-cabin if possible (in-cabin weight including the carrier restricted to 20 lbs). The reason this option is recommended instead of cargo is that your dog will arrive as your personal baggage and thus will go through airport customs, not cargo customs meaning there is no 24 hour hold and no customs agent required to get your dog through. Our friends sent their extra large dog as checked baggage and their 2 small dogs in-cabin in carriers that fit below their seats. Our friends bypassed the temperature restrictions for their large dog Bela by flying at a time of year before Delta airline’s temperature restrictions were in place for their Seattle-Miami flight. However, Delta’s restriction was already in effect for their Miami-Quito flight so they switched airlines to Copa whose temperature restriction had yet to go into effect. For Bela’s size, US regulations required her to travel in an extra large 700-series crate required by US regulations from Seattle to Miami. However, Copa Airlines restricted crate height to a 500-series carrier (and 100 lbs) for their Miami-Quito flight. Our friends worked around this restriction by cargoing a 500-series crate as extra baggage and then switching Bela to that one before checking in for their Miami-Quito flight (leaving the larger crate behind at the airport). They overnighted in the Miami airport which gave them time for a break between flights. Just as with temperature and size restrictions, different airlines have differing policies regarding making flight reservations for your pet. Our friends chose Delta Airlines because they allow dog reservations to be made 14 days in advance while other airlines allowed only 48 hours. Check on everything before you book your flight as timing is everything and you don’t want to get bumped from a flight and have your health certificate run out before your arrival date. Also, you can check on each flight to make sure your dog has boarded too. A very clear and succinct description (and they have a cat in case you have any cat-specific questions).